Hospital BillsIn 2008, U.S. health care expenditures continued to skyrocket, growing at an annual rate of 4.4 percent for the year, slower than some recent years, yet still outpacing inflation and the growth of national income. The total spending was about $7,681 per American and accounted for 16.2 percent of the nation's Gross Domestic Product (GDP), the highest of any industrialized country. Medically unnecessary procedures, hospitalizations and prescription drugs all contributed to this figure of almost $8,000 per person living in the US. So, what exactly are we getting for our money? Currently, the U.S. spends more on health care than any other country in the world. 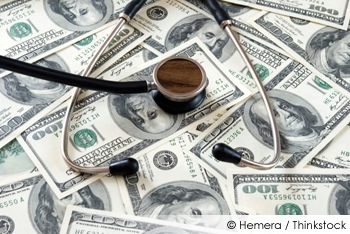 According to the Kaiser Foundation, health care costs in 2008 in the U.S. were over $2.3 trillion. That's more than three times the $714 billion spent in 1990, and over eight times the $253 billion spent in 1980. With these continually rising costs of healthcare in the US, you would think the quality of medical care would be the best on the planet. The question is this - what are we buying with all this money? Or is this money just fueling a booming profit center for the corporations supplying us with a commodity that they are marketing as "health care"? Are Americans Actually Living in a "Sick" Care Model? Americans' overall (declining) health and their access to state-of-the-art medical facilities factor into these exorbitant yearly health care expenditures. But a majority of these costs, when put under the microscope, clearly have more to do with promoting ever increasing corporate profits than with making Americans healthier. From government agencies like the FDA to the insurance empire, to health care providers and big pharma, the new primary goal of health care industry in the US has transformed into making money off of sick people. The sooner you realize this, the sooner you and your family can "opt out" of the health industry's current "sick care" model and truly begin to regain your health. What may shock you -- it's not just the drug industry that looks at sickness as a Wall Street commodity. Hospitals, surgeons, anesthesiologists - even medical schools - make costly treatments the primary tenets of their health care goals, rather than stressing far more cost effective preventive care. For years the business of putting people in the hospital was so great that in 2007, the Centers for Medicare and Medicaid Services (CMS) started a campaign to reduce unnecessary hospitalizations. As an example of the cost of these unnecessary admissions, the state of Texas determined it could save $13.5 million a year by preventing just one unnecessary hospitalization in every health agency in the state! Multiply that by every state in the union, and that would equall hundreds of millions of dollars in savings each year. Ear, nose and throat specialists (ENTs) are advised to put tubes in children's ears (myringotomies), and to perform tonsillectomies, corrective surgeries on noses, and endoscopic procedures which take very little time but add to the coffers. It takes 15 to 30 minutes to do a septoplasty (nose reconstruction) and insurance companies pay an average of $1,600, the Review advises the ENTs. Endoscopy can take 30 minutes to two hours and pays up to $10,000. Orthopedic and spinal surgeons are encouraged to pad their paychecks by adding ancillary services such as physical therapy, performing MRI/Imaging and electromyography nerve testing (EMGs), selling durable medical equipment for use in a patient's home, and to invest in their own private ambulatory surgery center, if they haven't already. Urologists are told to consider doing endoscopic procedures on the urethra, prostate, and bladder, and to perform a variety of incontinence procedures for both men and women. They also can add to their income by using a neurostimulating device with patients with overactive bladder - a procedure that typically brings in $15,000 per patient - and by performing kidney and urethral stone removals, penile implants, and vasectomy reversals. The penile implants can be done on patients as young as 19 or as old as 90, the Review says, to the tune of $9,000 to $10,000 per patient. While I would hope none of these procedures are ever done unnecessarily, how can you tell what's necessary and what's frivolous? Surgeons aren't the only specialists padding their paychecks. The mental health industry, for example, is so eager to find something new to treat that they are constantly updating their psychiatric Diagnostic and Statistical Manual of Mental Disorders (DSM). Their manual has been controversial in the past, but the latest version, DSM-V, has to be regarded as the most questionable ever devised because they've now listed people with a variety of previously ordinary conditions as suddenly having a treatable mental illness, such as children who struggle with math problems or kids who can't easily master writing skills! If you think that's crazy, then know that one disorder that didn't make the manual was something they were planning to dub "psychosis risk syndrome." Had it been approved, "PRS" would have "identified" treatable children by predicting they would get a mental illness as early as at birth, which could then be treated before it occurred. "...the most ill-conceived and potentially harmful" diagnosis they'd ever contrived, and that it would "misidentify many teenagers who are not really at risk for psychosis." He also said "the treatment they would most often receive (atypical antipsychotic medication) has no proven efficacy." Allen then added that such a "diagnosis" would encourage more drug marketing (surprise, surprise! ), as well as influence parents and clinicians to use this contrived new "disorder" to treat children. I agree - particularly since we already know that drug prescriptions for antipsychotic medicines have nearly tripled in the past 15 years, with unprecedented numbers of children under age 18 taking them. In fact, according to Medscape.com, the number of children on Medicaid (an entity the government can easily track) who were prescribed antipsychotics doubled (twice as many profit centers for big pharma) between 2001 and 2005. In four years the number of Medicaid children on antipsychotics doubled, is this not cause for serious alarm? Why haven't you heard about this in the mainstream media, if indeed the number of psychotic children in the Medicaid population has doubled so rapidly? And there's more, a whopping 41.3 percent of these "psychotic" children have no identifiable reason to support taking these mind-altering drugs! The Wall Street Journal added that between 2002 and 2007, antipsychotic prescriptions for children increased by a staggering 44.6 percent - making up a now incredible 15 percent of TOTAL antipsychotic drug sales. Is this merely a newly identified market for these legal drug pushers to infiltrate? Or have our children suddenly all become "unhinged" at once? And if the latter is truly the case, why aren't alarm bells going off at government agencies if 15 percent America's TOTAL diagnosed psychotic population is now under 18 years of age? Isn't this a pretty profound statistic about the future of the US? Ironically, this takes us back to where we started - the overprescribing of prescription drugs. When you consider that health officials say that many other drugs like cholesterol medicines and antibiotics are also overprescribed, it's easy see why our drug-based health care costs are skyrocketing. Another factor in escalating medical costs in the U.S. is the ever-increasing use of new technology - again, often when it's not indicated or needed. Hospitals claim their largest expense is connected to wages and labor-related benefits, but the Kaiser Foundation reports that the development and use of new medical technology may account for one-half or more of long-term medical cost growth. In simple language that means that hospitals are acquiring and using the latest new equipment. That is supposed to mean better outcomes for patients - but as bnet.com points out, it also raises questions about whether all that new equipment really is necessary? A 2009 study found that Americans spent $85.9 billion each year for imaging, surgery, drugs, and doctors' visits for lower-back pain--most of it for no benefit. "The use of MRI within six weeks of the start of lower-back pain is not only not useful, but it increases the number of surgeries, treatments, and costs." It's no secret that the U.S. is the world's No. 1 user of MRI scans. But did you know that orthopedic surgeons are notorious for padding their pockets by ordering them, and then performing them in their own offices? This is a concern because it's estimated that the U.S. spends $700 billion every year on all kinds of unnecessary medical tests that do not benefit patients. Again, that would be nearly ONE-THIRD of what the US spent on total health care in 2008! That means prescriptions drugs and unnecessary medical tests equals TWO-THIRDS of all health care expenditures in 2008 dollars! Now I hope you are beginning to understand where this staggering amount of money the US spends on "health care" is actually going. Routine CT scans in the ER. Antibiotics for cold viruses that are not even treatable with antibiotics. Pap tests for women who don't have a cervix. Sadly, unnecessary screenings and treatments in themselves are also part of the "sick care" model that are particularly dangerous - 30,000 Americans covered by Medicare are killed every year by unnecessary medical procedures, according to Dr. Elliott Fisher of Dartmouth Medical School. Do you see the FDA moving to warn Americans to be wary or unnecessary medical procedures? It's a rhetorical question, because the FDA now views the drug and medical industries as their "partner" and "client", not as industries that the public needs to be protected against! And while this information may not sit well with orthopedic and spine surgeons who were hoping they could increase the number of spinal procedures this year, the truth is that ineffectual spinal fusions surgeries could be adding as much as $11.1 billion to the annual cost of medical care in America. As reported in an April 2010 study in the Journal of the American Medical Association, researchers concluded that patients who had a complex - and expensive - spinal fusion were nearly three times as likely to develop a life-threatening complication and the surgeries didn't result in dramatically better outcomes. This above referenced JAMA article questioned why these types of operations had increased 15-fold in just six years (surprise!) while the hospital charges increased 40 percent (surprise!). "The introduction and marketing of new surgical devices and the influence of key opinion leaders may stimulate more invasive surgery, even in the absence of new indications. "...Financial incentives to hospitals and surgeons for more complex procedures may (also) play a role as may desires of surgeons to be local innovators." The author is outright admitting that one reason medical care is so expensive in the U.S. is because of financial incentives and the marketing of new devices. And surgeons who are "local innovators" are innovating what, exactly? Better marketing techniques for expensive procedures? Remember, according to the same article, the patients who received these new procedures did not have dramatically better outcomes. Did I mention that the article also points out that life-threatening complications from these unnecessary surgeries nearly TRIPLED, and that hospital stays also increased - making the average cost for one of these procedures balloon from an average of $23,724 to $80,888? Profits promoted over preventative care. Is this not a fitting picture of exactly what's wrong with health care in America? If you've had a complete hysterectomy, meaning you've also had your ovaries and cervix removed, you don't need a Pap test, which examines cells scraped from your cervix. Yet, a study in 2004 showed that 10 million women a year who don't have a cervix are still getting Pap tests consisting of a scraping of cells from their vaginal walls - when no professional organization recommends this screening for women without a cervix! Spontaneous deliveries - waiting for a baby to come on its own - can be time-consuming for modern doctors, and can test your patience if you're the mom-to-be. That's why today 32 percent of American births today are through Caesarean sections (C-sections). Many are being done after a pre-term, elective induction that hasn't proceeded quickly enough. It's largely a desire for control on the part of families, physicians and hospitals, the WSJ reported. And according to USA Today, there's another reason: "economic incentives" for doctors and hospitals to use these procedures, including bonuses for labor inductions which add costs and increase the risks for C-sections (surprise!). So there you have it: for the sake of economic incentives, convenience, and control over what day and even time of day the birth occurs, babies' lives are being put in danger - at an additional annual cost of $3 billion to the U.S. health care system. From birth through teenage years, our current health care system has a goal of maximizing each new little profit center we usher into their business model. Because that's what the system is designed to do, put profits first at the expense of everything else, including the health of our babies. Educating yourself and your family to their business model and their seemingly endless tricks to maximize profits. Because an educated and healthy consumer is the worst enemy of our current "sick care" model that passes for health care in the US. Wait a Minute, Isn't This Outrageous? The drug and medical industry's mounting greed IS outrageous, especially when you consider in this specific instance of C-sections the National Institutes of Health (NIH) says that 33 to 75 percent of C-sections are totally unnecessary! What's really maddening is that a study done between 2005 and 2006 showed that the cost of hospital charges for maternal and newborn care rose from $79 billion to $86 billion in just one year, with $2.5 billion of it as a result of unnecessary C-sections. In fact, delivering babies is the #1 profit center in hospitals, and rising every year. In 2008 (latest data available) facility charges billed for "mother's pregnancy and delivery " and "newborn infants" ($98 billion) far exceeded charges for any other hospital condition in the United States. "Mother's pregnancy and delivery" and "newborn infants" were the two most expensive conditions billed to Medicaid in 2008, involving 26 percent of hospital charges to Medicaid, or $46 billion. But I'd venture a guess that our profit margins for corporations contributing to these staggeringly bad mortality numbers is NOT below those in the other 30 nations that are safer places to have a baby. And if there were stockholders who held shares in something called the "public health" corporation, they would be in absolute revolt over these numbers and boards of directors of this corporation would be under pressure to resign. Wait a minute, isn't the US Government the head of something much akin to a "public health" corporation? I don't even need to say the word Vioxx to explain how some drugs do more harm than good. From anti-psychotics to pain-killers, cancer drugs and statins, many top-selling drugs are nothing more than ways to make drug companies and drug prescribers simply richer. The birth control pills Yaz and Yasmin were touted to be safer than any other pill on the market when they first came out. But it wasn't long before a flurry of lawsuits began claiming that they cause numerous health problems including deep vein thrombosis (blood clots in the deep veins), strokes, heart attacks and gallbladder disease. Accutane, a drug that was used to treat acne for many years, is also the center of multiple lawsuits. It was pulled off the market in 2009 after users reported side effects that included severe gastrointestinal problems including Crohn's disease, ulcerative colitis, and inflammatory bowel disease (IBD). Elevated risk of birth defects in the children of pregnant women also were reported. Other dangerous drugs that have either been pulled off the market or are the center of lawsuits (even as they are still sold) include the smoking cessation drug Chantix, the pain killer Darvocet, the "bone-strengthening" drug Fosamax, which is made up of bisphosphonate compounds that have been found to actually contribute to bone death, the statin drug Crestor, the serotonin re-uptake inhibitor (SSRI) drug Paxil, which has been linked to suicides and suicidal thoughts, and many, many others. The truth is vaccines are just another way that Big Pharma makes money by selling something that might make you sick - or sicker. Just one example is the flu vaccine: officials now know that the seasonal flu vaccine in 2008-2009 did absolutely nothing to prevent flu in children - and actually increased their risk of getting H1N1! Yet, with the help of the rulings by the World Health Organization (WHO), the CDC, the FDA and individual states' mandated vaccination schedules, vaccine makers have a guaranteed bank roll in the form of your children. In stark contrast to times past when vaccines weren't such an attractive market, they're now such a guaranteed profit center that Wall Street investors are being told to bank, bank, bank on vaccines. We know nearly 26 million Americans now have diabetes, and over one in four of all Americans have either diabetes or pre-diabetes. We know the cost to treat heart disease in the U.S. is expected to triple by 2030, and that high blood pressure and cholesterol are "out of control" in the U.S.
We also know the U.S. spends more on health care than any other industrialized country. Yet, despite all this spending, the U.S. ranks 14th in mortality rates worldwide - meaning 13 other countries have a lower preventable death rate than the U.S. despite spending less money on health care, and two of these countries are the now nearly bankrupt nations of Greece and Ireland! But the question is -- why? Some analysts say this poor showing is linked to declining rates of insured persons in the U.S. Others claim the figures are just plain skewed. But I suspect the high U.S. mortality rates have more to do with our obesity rates, lifestyle patterns, and our seriously flawed health care paradigm ("sick care") than it has to do with insurance coverage or skewed numbers. The current US "healthcare" paradigm is the one that defines preventive care as ingesting drugs to treat symptoms, not addressing lifestyle changes that can actually create wellness. It's a paradigm that's being perpetuated today, even as our federal health officials tout prevention measures. Don't believe me? Look at the Surgeon General's current "preventive" health plan, Healthy People 2020. While the goals of Healthy People are stated as reduced illness, disability, and death, what the plan actually stresses are assessments, diagnostic criteria, disease monitoring, and data collection. The plan acknowledges behavior modification with dietary and lifestyle changes are important to reaching the Healthy People goals, but aside from a few sample awareness programs, the main "preventive" strategies are screening, screening, and more screening for diseases and illnesses you already have. A "blueprint" for reformed health care compiled by the Center for American Progress and the Institute on Medicine as a Profession also has ideas for improving health care but doesn't mention promoting wellness. The fact is no one seems to be discussing changing the paradigm of "managing sickness" that the U.S. is currently stuck in. In a just-released, 132-page report, "Total Force Fitness for the 21st Century: A New Paradigm," our military is advocating a holistic mind, body and spirit approach to getting and staying fit. That's right. The U.S. military is advocating a new paradigm in health that not only includes a whole-life, holistic approach, but true preventive health care that goes beyond simple physical performance and emphasizes maintaining health before illness occurs. For the military, this new paradigm will stress maintaining a healthy weight, with positive lifestyle programs that include proper nutrition and physical, mental, social, and spiritual well-being. That way, instead of treating disease, military personnel can learn ways to just stay healthy, the publication says. Just imagine what would happen if everyone, and not just the military, focused on prevention rather than treatment! It may sound impossible. But it's not. I've written countless articles as well as a book on how you can take control of your health, and I can assure you that you absolutely can get an edge on changing the treatment paradigm for yourself - and your children - by adopting a healthier lifestyle, even if it's just one step at a time. We need to eliminate the use of all sodas, especially diet sodas which are nothing more than neurotoxic poisons, and concentrate on drinking fresh, pure water and eating more, organic, fresh, raw fruits and vegetables. Adding an exercise program to your day, even if it's only 15 minutes, is also a step you can take immediately towards taking control of your health. Have trouble sleeping? Instead of taking drugs, try different combinations of these proven methods to help you get a good night's rest. Also, help yourself achieve the goal of optimal wellness by finding a physician who embraces a holistic lifestyle paradigm. Not one who prescribes you an increasing list of pharmaceutical drugs to "manage" your increasing sickness. It's not too late. I promise; not only for you, but for your children and future generations. But you have to embrace taking control of your health today. Listed below are links to blogs that reference this entry: My New Warning: Avoid THESE Medical Treatments Whenever Possible. This page contains a single entry by Toni published on May 11, 2011 12:22 PM. Parmenides and the Origins of Western Thought was the previous entry in this blog. Federal Court Compensated 83 Vaccine-Injured Autistic Children is the next entry in this blog.